Hello, space fans! 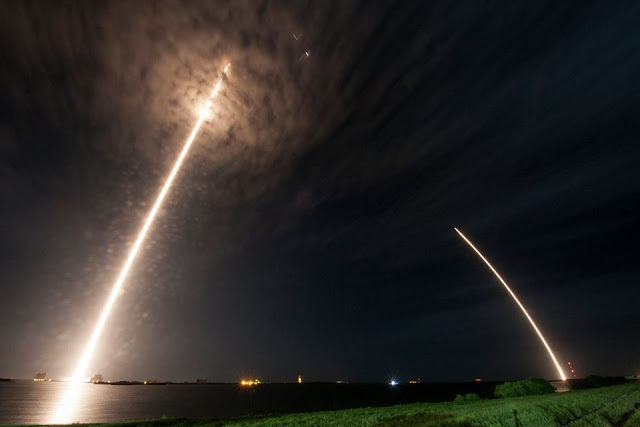 It's been another wonderful week for the humans and spacecraft whipping around over the world. Here's what was up! "Game Of Thrones" has nothing on this beast. 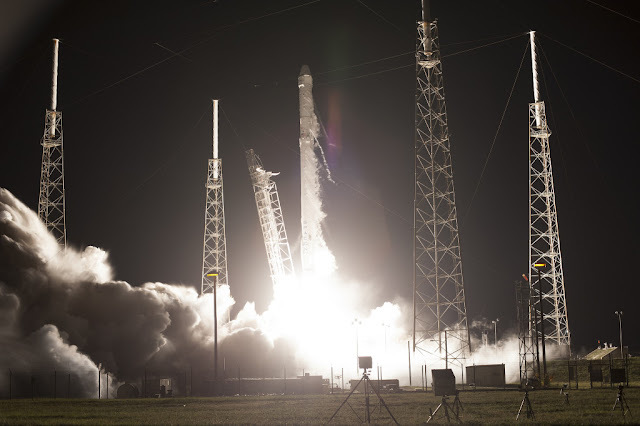 The SpaceX Dragon cargo craft arrived safely at the station on Wednesday, after launching on Monday from Cape Canaveral aboard a Falcon 9 rocket. 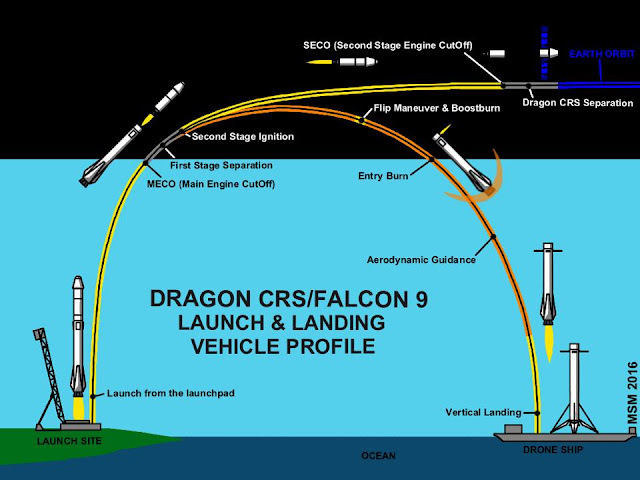 The Falcon then returned to Earth, while the Dragon will remain docked at the station for several more months. is no longer just science fiction. This particular landing was not on a barge, but they did land vertically, successfully! Some 5,000 pounds of equipment, crew supplies, and scientific experiments were aboard the Dragon. The research includes a miniature DNA sequencing device, a machine to help better control the environment aboard the station, a new form of computerized ship-tracking that could aid with maritime cargo routes or emergencies on earth, a study regarding astronauts' bone loss in space, a series of small computer chips that will undergo space-radiation exposure testing, an innovative new carbon-nanotube solar cell, and much more. A long-exposure shot of the Dragon departing and the Falcon reentering. 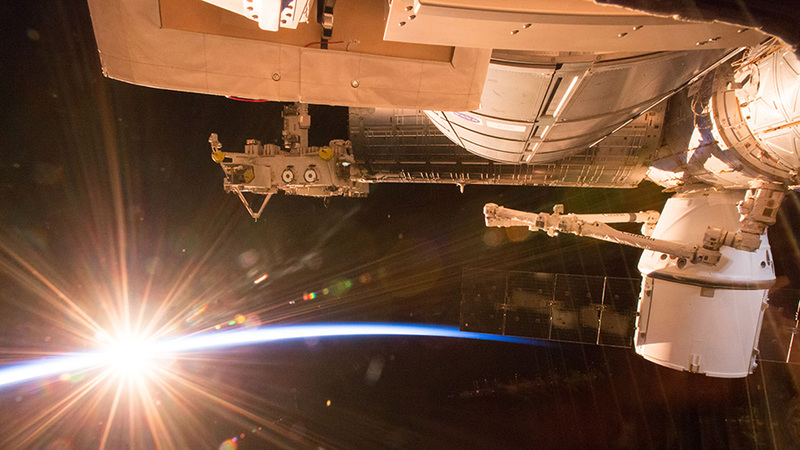 The Dragon was grappled to the station using the 57.7 foot robotic arm, the Canadarm-2. Commander Jeff Williams and NASA astronaut Kate Rubins orchestrated the capture. It will remain attached to the ISS until August 29th, when it will return to Earth bearing important scientific data for recovery. More details on the research aboard the station can be found here. aided in the Dragon's capture. As the Dragon was hurtling skyward on Monday, the Progress 64 Russian cargo ship arrived at the station, bearing even more supplies, including food and fuel. 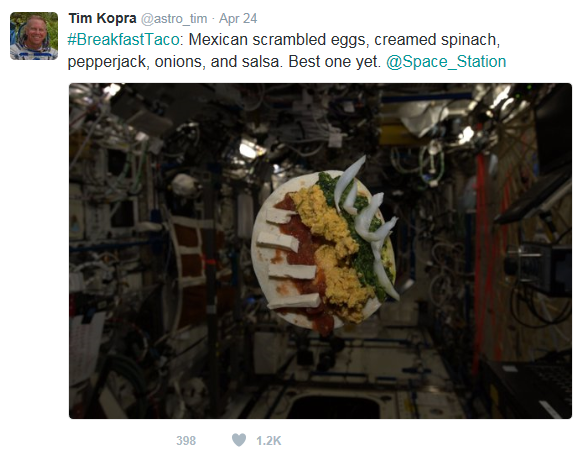 Speaking of supplies, do you ever wonder what the ISS astronauts eat to keep their strength up, up there? Here's a NASA blog article detailing some of the culinary choices in the cosmos! That looks pretty tasty, on-planet or off. Other station science activities this week included work on cell cultures, genetic expression, bone loss, and changes in heart muscle tissue. And of course, Commander Jeff Williams found time to capture some glamour shots of the home planet. "Morning in the Canary Islands..."
a Dragon cargo vehicle after a successful rendezvous." -Commander Jeff Williams, total badass. That's all for this week, space fans! We'll see you next Sunday with more awesomeness from just outside the atmosphere...watch this space! The Dragon basks in the sunshine after floating to its sky-home. Great work from everyone who strove to get it there! To infinity and beyond...I just love space.